We all have those days at work when we feel drained and sluggish. It often seems that no matter how much coffee you drink, you still find yourself feeling too depleted to perform as well as you could. That’s because not only do you become increasingly immune to caffeine, caffeine is only provides a temporary boost in energy. In that sense, it’s like sugar: it leaves you with a big energy crash after the short boost in energy. So, what is the secret to lasting energy throughout the day that will help you perform your best in the office? The answer is high-power snacking for maximum energy. You don’t want to eat a big lunch when you’re feeling low on energy. That will just make you want a nap all the more! Instead, think about nutrient-dense snacks full of antioxidants, phytonutrients, healthy fats, and proteins that can give you all-day energy and help you excel in everything you do. Here are 10 snacks guaranteed to give you maximum energy and laser-sharp focus. Blueberries are known for their powerful antioxidant content and their cognition-enhancing properties. In fact, eating a cup of these mixed into a smoothie can boost your energy for up to five hours, studies show. Blueberries are also one of the few foods proven to stimulate new neuron growth in the brain—meaning more brain cells and faster synapse firing. This is because they contain a powerful flavonoid called anthocyanin that gives them their blue color. This compound has been directly linked to neurogenesis in humans. Really, you cannot beat blueberries for energy and mental clarity. Eggs really are the perfect food. They’re great for collagen synthesis to keep your skin bouncy and youthful-looking, and they’re loaded with healthy omega 3s, protein, iodine, and B12, all of which help fortify you with the kinds of vitamins and minerals you need to power you through a busy day. Try combining hard boiled eggs with seeds and nuts. To take the flavor to the next level, try Dukkah. It’s a crunchyEgyptian crunchy spice. It’s a great way to add some delicious, earthy flavor to your boring hard-boiled eggs. Expert Health Tip: Only purchase free-range organic chicken eggs. Even then, these eggs can be questionable if you’re not careful. Your best bet is to buy eggs from a local farm after looking at how they take care of their chickens. The healthiest eggs are from chickens that free range and eat bugs (their natural diet). Dark chocolate is a luxury you should work into your diet. It tastes delicious and has all kinds of health-promoting benefits. Although it does contain a healthy amount of sugar, if you are going to reach for something sweet—choose dark chocolate instead. Dark chocolate is loaded with iron, manganese, magnesium and other hard to get trace minerals like copper. Dark chocolate is also rich in antioxidants and other healthy compounds like flavonols, polyphenols, and catechins. All of these nutrients and healthy antioxidants will power you with mental and physical energy. Plus, it can keep you away from cravings for unhealthy processed snacks. Expert Health Tip: To get the most benefit, only get 70% (or higher) organic dark chocolate. This is my favorite organic dark chocolate. High protein, high healthy fat, organic, non-GMO, nutrient-packed energy protein bars are the best snacks for work. That’s because they will help you stay at the desk, focused, alert, and full ofwith energy. Some of these bars contain as much as 1900 mgs of healthy, energy-yielding Omega 3 fats. Protein energy bars are also full of fiber, healthy nuts, amino acids, vitamins, and minerals—all of which help give you lasting energy and mental focus. Expert Health Tip: Be wary of the sugar content of protein and energy bars. Many have an exceptionally high sugar content. This will only sabotage your energy levels and cause you to gain weight. Green superfood drinks are one of the most nutritious and low-calorie ways to stay super-fueled with energy at work. Packed with vitamins, minerals, trace minerals, antioxidants, phytochemicals, and phytonutrients, green drinks saturate your body in healthy compounds that quell hunger, boost mental focus, and give you massive energy. When you’re low on energy, your body is signaling you that you need more of a nutrient you’re not getting. Superfood green drinks are a way to nip flagging energy in the bud because they provide a considerable burst of nutrients. Hummus makes a great healthy snack that most everyone loves. Hummus is low in calories, is loaded with protein, and is delicious on virtually any vegetable dipper from celery to carrot sticks. Chickpeas are loaded with protein, so they can help curb your appetite and keep your blood sugar levels stable for longer periods of time. This means more sustained energy without constant cravings to distract you. Expert Health Tip: Beans contain anti-nutrients which prevent you from properly digesting them. To optimize digestion, make your own hummus with sprouted or soaked chickpeas. If you haven’t tried these green pumpkin seeds you’re really missing out on a fun, delicious, nutrient-packed snack. 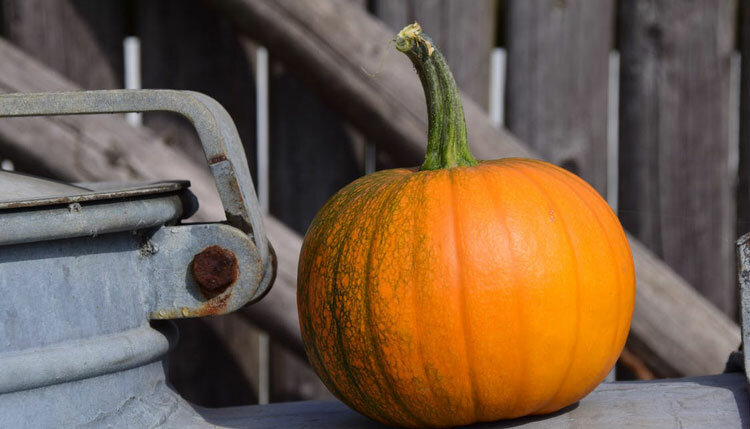 Animal studies suggest that pumpkin seeds may help improve insulin regulation and help prevent diabetic complications by decreasing oxidative stress. Pepitas pack more protein than almonds and most other nuts and are loaded with magnesium, carbohydrates, vitamins, iron, amino acids, and minerals. Nutritious and tasty! You can pick up pumpkin seeds on Amazon here. Deli meat (you want organic, grass fed meats of course) and cream cheese (organic, full fat, grass fed) pinwheels are a favorite snack of Paleo eaters. And for good reason. Fattier cuts of meat and cream cheese don’t spike insulin, which will keep your blood sugar stable. Pinwheels are power packed with protein to keep you charged with lasting energy all day. Filling and delicious—try turkey cream cheese pinwheels, or a spicier, fattier cut like salami and cream cheese. These will keep you full and focused all day. For recipe ideas, check out Pinterest. There’s nothing more delicious than all natural peanut, cashew, or almond butter slathered on a piece of fruit or a celery stick. Try almond butter on apple slices, or the tried and true old standby of celery stick boats with peanut butter atop them. Nut butters work because they’re filling and packed with protein and healthy Omega-3s that will keep your energy levels spiked, mentally and physically. 10. Yogurt and . . . .
Full of healthy protein and probiotics, yogurt is a great go-to snack. You can eat it alone or mixed with berries, granola or other cereals, nuts, honey, coconut flakes, bananas—the possibilities are endless. Live and active cultures are essential for healthy intestines and a strong immune system. Yogurt will give you lasting energy and help your gut create lots of healthy bacteria that will help you absorb more nutrients from all the food you eat. Expert Health Tip: Before you make yogurt your go-to snack, make sure you’re not lactose intolerant. It’s estimated that 65% of people poorly digest dairy. If you’re one of them, this is not the snack for you–it would only make your digestive system sluggish and cause many more health issues down the road. When packing snacks for lasting energy—strive for nutrient density in every bite. Flagging energy is a sign your body is yearning for the fuel it needs to perform optimally. You get out of your body what you put into it. Nutrients always pay off in energy rewards. Gerry Morton holds an MS in Nutrition and is an experienced athlete who has competed in numerous marathons and Ironman triathlons. He is lead educator for Greens Plus, an industry leader in superfood products such green superfood drinks since 1989. Read the Greens Plus blog at http://blog.greensplus.com. 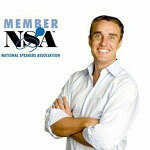 Gerry is an expert on the subjects of nutrition, peak performance, motivation, entrepreneurship, and empowerment.